Since social media hit the mainstream in the mid-2000s, it has barely stopped to take a breath. Established players like Facebook and Twitter, as well as newer entrants like Snapchat, are constantly shifting and transforming giving us fresh opportunities to reach our audiences. The Facebook of 2004, where a profile picture was all you were able to post, is barely recognizable compared to the Facebook of today, with live video, Messenger, Instant Articles and other new features. Plus, platforms like Snapchat and Instagram add not only new visual ways to communicate but also new paths to target and engage specific audiences. When deciding how to approach your social content strategy, you face the question of whether to focus solely on organic opportunities — in which you build your audience the hard way, one post or engagement at a time — or consider layering on paid opportunities, which can guarantee a certain number of impressions, engagements or followers. If you’ve hit a wall growing your social channels organically, paid opportunities will give you the opportunity to expand your presence, reach a particular audience, have greater control of your message or tell deeper stories. 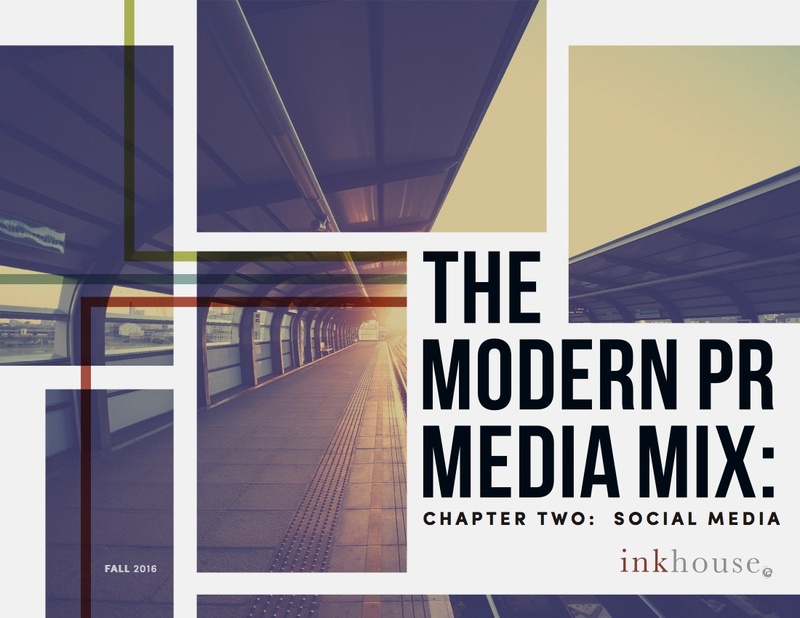 For more on today’s opportunities in, and strategies, for social media content, download Chapter Two of InkHouse's eBook, 'The Modern PR Media Mix' - available now. Read, share and let us know what you think! The full and free ebook is also available here.